Titleist Tour Soft are a current model ball selling in pro shops all around the country for up to $49.95 a dozen. Save huge dollars by purchasing from Lost Golf Balls. Titleist Tour Soft feature the largest core ever produced by Titleist. The Tour Soft feature a unique 4CE grafted cover which provides category leading soft feel, incredibly fast speed for commanding distance and supreme short game performance. 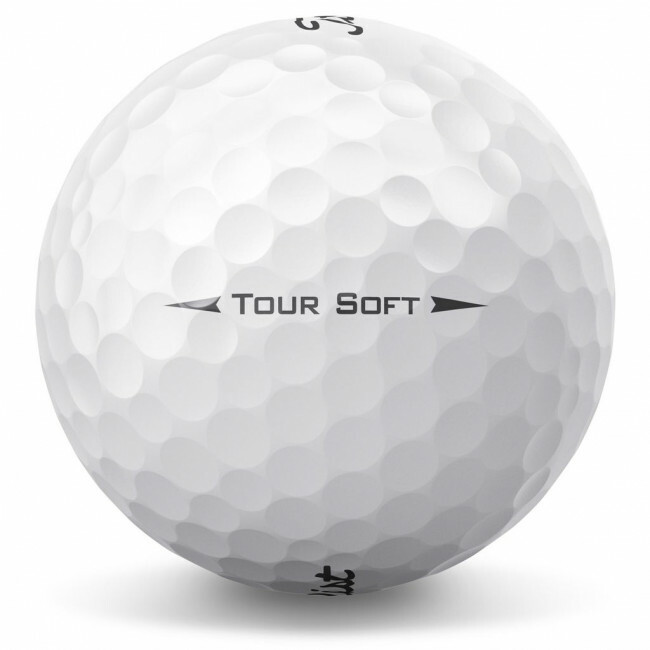 Titleist Tour Soft are constructed with an industry leading 342 cuboctahedron dimple design, which is crafted to deliver penetrating trajectory and consistent short game control and flight. Titleist Tour Soft's are fast becoming one of the most popular golf balls in the game, try them out from Lost Golf Balls at a bargain price. Speedy Delivery, Great Communication, Great Product 5 stars! Excellent service and some bonus tees appreciated.